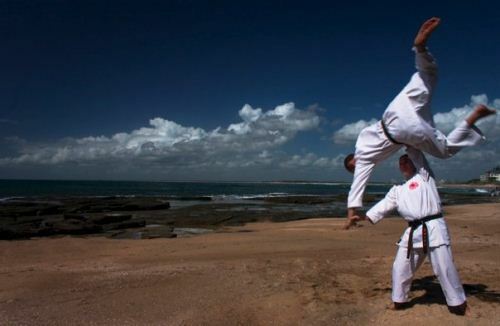 Sunshine Coast Karate is a modern martial arts school dedicated to teaching the Chito-Ryu tradition of Karate-do, a traditional self defence system with origins in Okinawa. Sunshine Coast Karate is affiliated to the International Chito-Ryu Karate-do Federation and it’s Regional Karate branch association. As a member of our unique martial arts community you will benefit from this affiliation by gaining regular visits from guest instructors from around the world, including the world-wide head instructor the International Chito-Ryu Karate-do Federation, Soke Sensei. As a member of Sunshine Coast Karate you will have the opportunity to take part in regional, national and international martial arts events such as training camps, workshops, social events, karate demonstrations, karate tournaments and more. Every school term at Sunshine Coast Karate you will enjoy a full and exciting calendar of events, adventures and challenges for the whole family. There will be times in your martial arts journey when things get tough, but with the support of staff and members of Sunshine Coast Karate you will succeed. You can choose to move forward one step at a time and be the change you want to see in others. At Sunshine Coast Karate their is no limit on what you can achieve! More Than 50 Years Combined Martial Arts Experience! You and your family are in great hands! Sunshine Coast Karate was founded by husband and wife team Sensei Martin & Sandra Phillips who are both internationally qualified instructors in the style of Chito-Ryu Karate-do, have been international champion competitors for more than 2 decades. All you need to do is move forward one step at a time through our proven 12 step self defence and martial arts system and you will achieve your very own black belt. At Sunshine Coast Karate you can expect to take a minimum of 4 years to obtain your Chito-Ryu Karate black belt, but it will be worth it. Not only will your commitment, perseverance and courage be recognised amongst your friends and family but your martial arts achievements will be recognised in the martial arts international community. Not only do you get access to leading self defence and martial arts instructors at Sunshine Coast Karate, you also get access to our national martial arts leadership program. 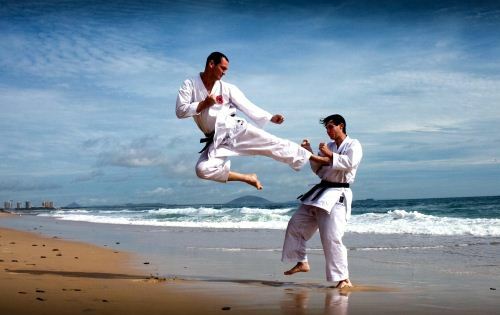 If you have the desire, passion and enthusiasm to become an instructor of martial arts, Sunshine Coast Karate have an established and proven martial arts Leadership Program which will take you to great heights. Not only will you enhance your life but you will have the opportunity to empower the lives of many in our Sunshine Coast community. You can make a difference, all you need to do is follow the steps of our martial arts leadership program. When you first start looking for a martial arts school on the Sunshine Coast, there is a good chance that you will be looking for the type of martial arts that you have heard about, or perhaps something that a friend or family member is doing or has recommended. There are many different self defence and martial arts schools: Karate (Shotokan, Goju-Ryu, GKR, Kyokushin), Taekwondo, Judo, Jujitsu, Aikido, Kick Boxing, Mixed Martial Arts, Brazilian Jiu Jitsu, Kung Fu, Tai Chi and many more. If you ask us to compare our martial arts to something else, honestly, we can’t. We can however, tell you a lot about Chito-Ryu Karate-do and the short and long term benefits that can be gained from studying Chito-Ryu Karate. When choosing a martial arts school, most people just look for the most conveniently located and reasonably priced martial arts school. Fortunately, we cover these two things very well, being based in Maroochydore and less than 15 minutes drive from: Kuluin, Buderim, Kawana, Bokarina, Mountain Creek, Bli Bli, Pacific Paradise, Mudjimba Marcoola, Coolum, Kunda Park, Woombye and Palmwoods. We even have quite a few martial arts members who are happy to travel from as far away as Caloundra, Yandina, Nambour and even Brisbane, because they know from experience that we provide quality self defence and martial arts instruction at Sunshine Coast Karate. To find out more about our programs, give us a call on 0435255323 or contact us today to register for your FREE introductory lesson. View our class schedule for more details about how easily you can fit our classes into your schedule.